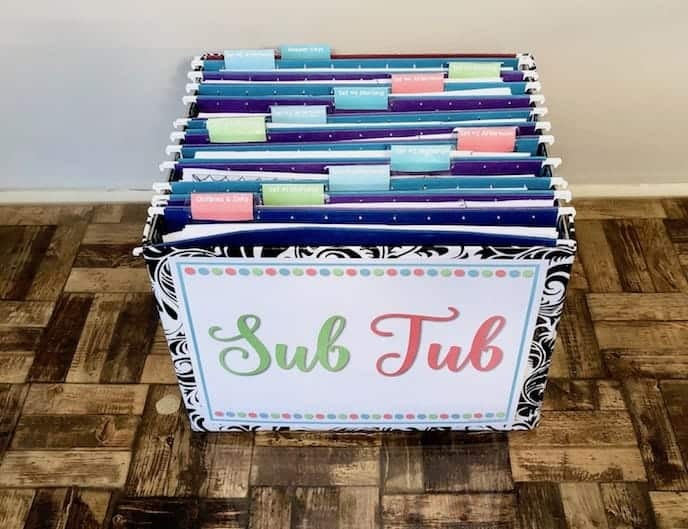 One of the main reasons you may avoid taking your sick days (even when you’re sick) is making those dreaded sub plans and dealing with the behaviors that inevitably occur after a sub is in your classroom. Even the best of classes can turn into total mayhem as soon as a substitute walks into the room! 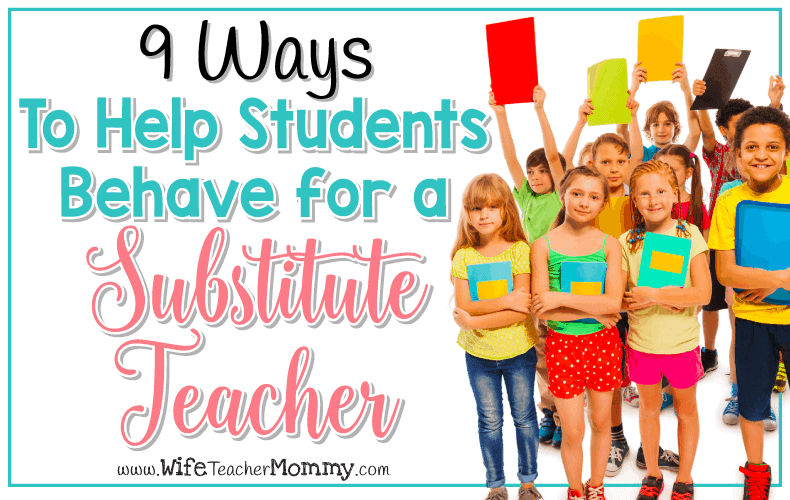 Before you go to work with more than the sniffles, check out these nine tips to help students behave for a substitute teacher (directly from my readers) to help ease your transition back to class for you and your kids. (This post may contain affiliate links. See disclosure). Discussing your expectations is crucial to helping your students behave for a substitute teacher. Let your students know from the beginning that the expectations are always about respect of self and others, including guest teachers. One way to introduce these expectations is to use social stories. Special education teacher and reader Liz C. tells a story to her students about a substitute and reviews it before she plans to have a sub. This helped her students when she took an unexpected leave due to an injury. Telling your students that your expectations for them are the same expectations you have for them when a sub is in the classroom. Make sure your students know your rules and procedures enough to be able to explain them to a sub. “ At the beginning of the day, I always [have] the sub should ask the students about certain rules and procedures and have the kids model them,” said reader Erin C. “That way, the sub can say, ‘Earlier you guys told me that we walk in the hallway with our mouths closed and hands behind our backs.’ This gives the students ownership over their behavior.” Ownership will encourage your students to behave for a substitute teacher. 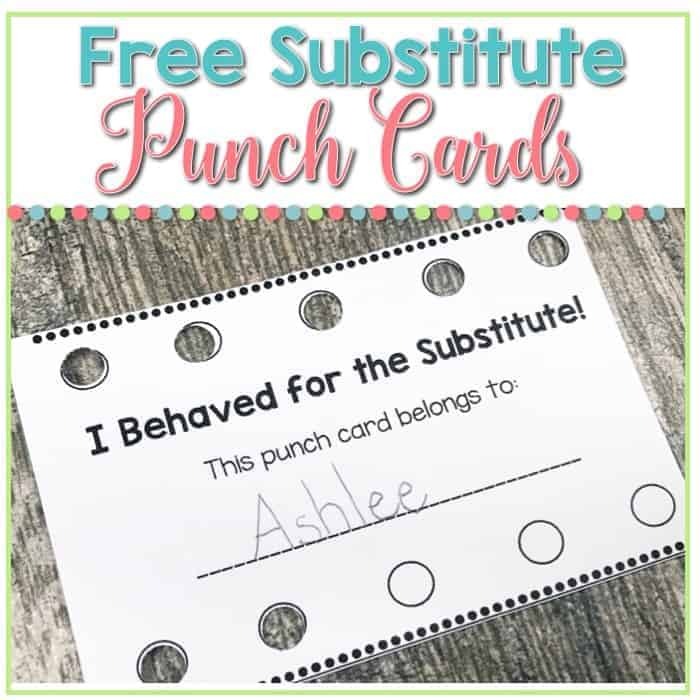 You can grab these substitute punch cards for FREE in my resource library by clicking to sign up below! You’ll get access to my free sub plans & more as well! Let your students know that the sub is going to be looking for a secret student to pay particular attention to. “If the student has behaved all day, they win lunch in the classroom with me. 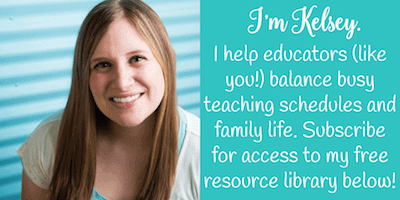 [They can also choose to] sit at my desk all day,” said reader Amy B. This reward can be adapted for students depending on their interests or goals. Switch it up every time you have a sub! It is important to reward students who typically behave well and those who are working on improving behaviors. This will encourage students to behave for a substitute teacher, because they never know if they are the secret student! Teaching students social and emotional skills can be a game changer. They will be able to handle these situations themselves when there is a substitute teacher. Substitute teachers are coming into a situation where they may not know the students or the subject matter. Reader Lisa N. does this with her students before she has a sub. “(I) make them understand how difficult it is to be a substitute,” Lisa said. “Until they look at sub plans they don’t know what they’re teaching. 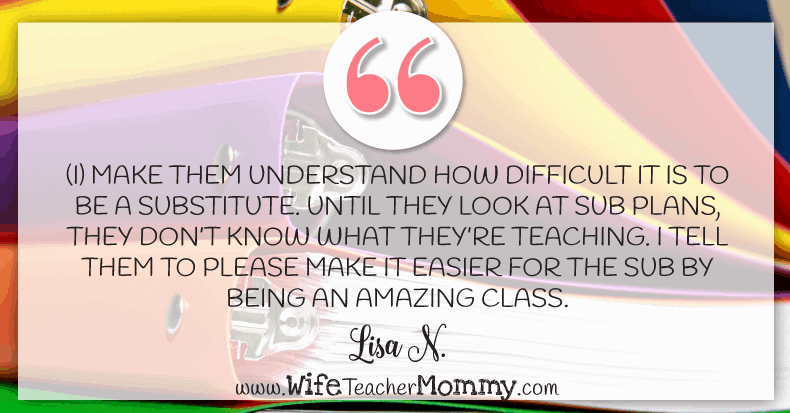 I tell them to please make it easier for the sub by being an amazing class.” If students understand the difficulties of being a sub, they are more likely to behave for a substitute teacher. Having a substitute teacher can be a planning nightmare for you and a challenge when you get back to the classroom. Often behaviors arise with your students that may not normally come up if you were in the classroom. Utilizing these nine tips to helps students behave for a substitute teacher will help your students understand the need for positive behaviors and take pride in themselves and others. 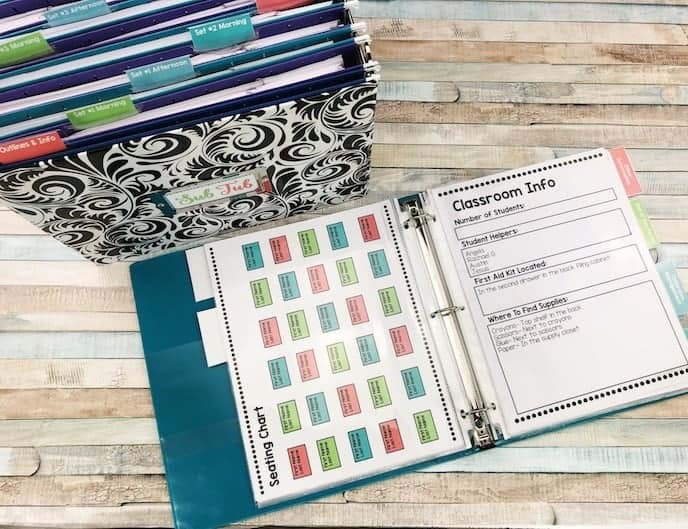 Sub punch cards would be a great resource to use in my classroom.